Department of Dermatology, STD & Leprosy, Government Medical College Srinagar, University of Kashmir, J&K, India. Dercum's disease (adiposis dolorosa) is an unusual progressive syndrome of unknown etiology characterized by multiple painful lipomas that arise in adult life, most often affecting postmenopausal women who are obese. We hereby report a case of Type III Dercum's disease in view of the rarity of this condition. o Type III, or the lipomatosis, nodular type, with pain in and around multiple lipomas, sometimes in the absence of general obesity; lipomas are approximately 0.5-4 cm, soft, and attached to the surrounding tissue. We report this case because of the rarity of the disease. A 37 year old married normotensive non-obese (weight = 45 kgs) woman from Drass Kargil reported to the outpatient department of Dermatology, STD and Leprosy of Government Medical College Srinagar with 9 years' history of multiple, nodular, painful sub-cutaneous swellings symmetrically distributed mainly over both forearms with few lesions over thighs and lower back. These swellings first appeared in the left forearm with a single lesion which progressively increased in size with the appearance of similar lesions over the other arm. Hyperalgesia was found in the fatty tissue below the skin on light pressure and touch with exacerbation on exposure to cold and on exertion. Pain did not increase in connection with menstruation and menstrual cycles were normal. There is history of paresthesias and swelling of hands. There is no history of morning stiffness, tiredness, headache, depression, loss of sleep and appetite or bruising tendency. There is no history of any menstrual irregularities, oral contraceptive bills use or intake of oral steroids. There is a similar history of painful subcutaneous swellings over forearms in her elder brother. No other significant relevant history present. Fig 1: Multiple subcutaneous swellings over flexor aspects of both forearms. Fig 2: Multiple subcutaneous swellings over extensor aspect of both forearms. 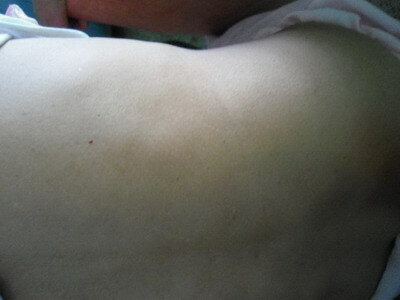 Fig 3: Multiple subcutaneous swellings over the back. Fig 4: FNAC showing the lipomatous nature of the lesion. On the basis of typical clinical features and investigations in this non-obese female a diagnosis of Type III Dercum's disease was made. Dercum's disease was first described in 1892 by the American neurologist Francis Xavier Dercum. Dercum's disease is believed to be transmitted in an autosomal dominant manner [2,3], however most reported cases of adiposis dolorosa are sporadic. The understanding of the pathogenesis and the mechanism of Dercum's disease remain unknown. It is believed that fatty deposits cause nerve compression and result in weakness and pain. Dercum's disease (adiposis dolorosa) is rare and is 20 times more common in females who are postmenopausal, obese, or overweight than in other people. However, it can occur in individuals who are not obese. It usually occurs in persons aged 45-60 years. Rarely, it occurs in women younger than 45 years. Adiposis dolorosa is almost never seen in children. Previously healthy women notice lumps or previously present lumps start growing. They describe pain and discomfort in the region of the lumps associated with weakness. Before the onset of the disease, the patient is usually only slightly obese, but, in a short time, the patient becomes overweight. Hyperalgesia is found by light pressure and touch in the fatty tissue below the skin and is made worse by tightly fitting clothes or showering. The pain is temperature and weather dependent. Other symptoms include swelling of fingers, general tiredness, tendency to bruise with normal coagulation tests, morning stiffness, headaches, cognitive dysfunction and bouts of depression. Results of hormonal studies to rule out Cushing syndrome, thyroid abnormalities, and other endocrinologic abnormalities are normal in patients with Dercum's disease (adiposis dolorosa) however they might have associated slight-to-moderate rises of cholesterol levels. Erythrocyte sedimentation rate results can be slightly elevated. Coagulation test results are normal. In spite of obesity, hypertension and type 2 diabetes mellitus seldom occur. An increase in certain active parameters may be seen in the following: sedimentation rate; alpha-1-antitrypsin; orosomucoid (alpha-1-acid glycoprotein, an acute phase reactant); haptoglobin; and complement factors C3, C4, Clq, and Cls. [5,6] A review of histopathologic findings did not reveal any significant features that might distinguish Dercum's disease (adiposis dolorosa) tumors from the common sporadic lipomas. 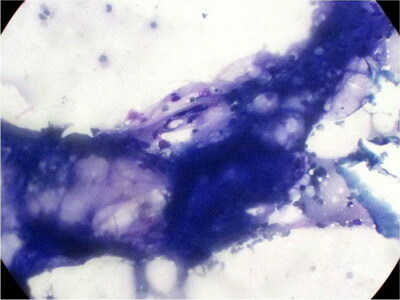 The tumors can be encapsulated, or the fatty deposits can be diffuse. Traditional management of Dercum's disease has been largely unsatisfactory relying on weight reduction and surgical excision of particularly troublesome lesions. Pharmacological treatments include Prednisolone, , intravenous lidocaine [8,9], NSAIDS, diuretics, INF alpha, oral mexiletine  and infliximab . Surgical management includes liposuction and surgical excision of isolated painful lipomas. Dercum's disease usually occurs in obese post-menopausal middle-aged women but here we report a case of Type III Dercum's disease in a 37 year old non-obese woman. 1. Dercum FX. Three cases of a hitherto unclassified affection resembling in its grosser aspects obesity, but associated with special symptoms: adiposis dolorosa. Am J Med Sci. 1892; 104: 521- 35. 2. Lynch HT, Harlan WL. Hereditary Factors in Adiposis Dolorosa (Dercum's Disease). Am J Hum Genet. Jun 1963; 15(2): 184- 90. 3. Cantu JM, Ruiz-Barquin E, Jimenez M, Castillo L, Macotela-Ruiz E. Autosomal dominant inheritance in adiposis dolorosa (Dercum's disease). Humangenetik. Mar 23 1973; 18(1): 89- 91. 4. Campen R, Mankin H, Louis DN, Hirano M, Maccollin M. Familial occurrence of adiposis dolorosa. J Am Acad Dermatol. Jan 2001; 44(1): 132- 6. 5. Greenbaum SS, Varga J. Corticosteroid-induced juxta-articular adiposis dolorosa. Arch Dermatol. Feb 1991; 127(2): 231- 3. 6. Skagen K, Petersen P, Kastrup J, Norgaard T. The regulation of subcutaneous blood flow in patient with Dercum's disease. Acta Derm Venereol. 1986; 66(4): 337- 9. 8. Iwane T, Maruyama M, Matsuki M, Ito Y, Shimoji K. Management of intractable pain in adiposis dolorosa with intravenous administration of lidocaine. Anesth Analg. Mar-Apr 1976; 55(2): 257- 9. 9. Petersen P, Kastrup J. Dercum's disease (adiposis dolorosa). Treatment of the severe pain with intravenous lidocaine. Pain. Jan 1987; 28(1): 77- 80. 10. Singal A, Janiga JJ, Bossenbroek NM, Lim HW. Dercum's disease (adiposis dolorosa): a report of improvement with infliximab and methotrexate. J Eur Acad Dermatol Venereol. May 2007; 21(5): 717.